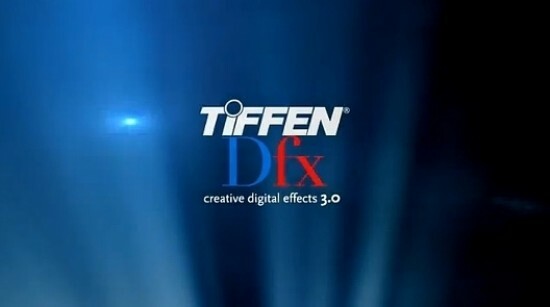 Tiffen has announced that its Tiffen Dfx digital filter suite will support the upcoming Adobe Creative Suite 6 software. Attendees at NAB 2012 can get a hands-on look at the Tiffen Dfx v3 for Adobe Creative Suite 6 at the Tiffen booth (C8818). “It was a top priority to roll out Tiffen Dfx for Adobe Creative Suite 6, and we are thrilled to be showcasing it on the show floor at NAB,” said Steve Tiffen, President, The Tiffen Company. Las Vegas, NV — April 13, 2012 — The Tiffen Company, a leading manufacturer and distributor of award-winning accessories for the still imaging, motion picture and broadcast markets, is pleased to announce its award-winning Tiffen Dfx digital filter suite will support the upcoming Adobe® Creative Suite® 6 software. A powerful plug-in for video/film editors and photographers, Tiffen Dfx v3 integrates seamlessly with Adobe After Effects®, Adobe Premiere® Pro and Photoshop®, bringing its world-renowned optical filter effects into software form. Attendees at NAB 2012 can get a hands-on look at the Tiffen Dfx v3 for Adobe Creative Suite 6 at the Tiffen booth (C8818). A powerful and robust video and still image editing effects suite, Tiffen Dfx v3 boasts enhanced multi-processor acceleration for faster interaction and rendering of images, 10+ brand-new filters for optical effects, updated host support, interface improvements and more, taking still and moving image editing to the next level of visual brilliance. Simulating 2,000+ popular award-winning Tiffen glass filters, specialized lenses, optical lab processes, film grain, exacting color correction plus natural light and photographic effects, Tiffen Dfx digital effects suite is the definitive set of digital optical filters for any photographer or video editor. At NAB 2012, Adobe will reveal more about Creative Suite 6 video tools, which are expected to ship in the first half of 2012. Redesigned by and for editors, Adobe Premiere Pro CS6 combines faster performance with a sleek, customizable user interface and powerful trimming tools that let editors work the way they want to. Learn more about the top new features in the upcoming Creative Suite 6: http://success.adobe.com/en/na/programs/events/1203_16108_nab.html. At NAB 2012 and want to schedule a private briefing with The Tiffen Company? Please contact Anya Oskolkova at anya@zazilmediagroup.com or stop by the Tiffen booth C8818. To set up a press briefing with a member of the Tiffen management team or a private product viewing during NAB 2012, please contact Anya Oskolkova at anya@zazilmediagroup.com. Tiffen has been a leading manufacturer of photographic filters, lens accessories, software, and camera accessories for the consumer/professional imaging and the motion picture and broadcast television industries for over 70 years. The company has a rich history of innovative product design, superior optical consistency, and unparalleled quality. Tiffen has been recognized for its product and engineering excellence, earning two Technical Achievement Awards and a Scientific and Engineering Award from the Academy of Motion Picture Arts & Sciences, as well as an Emmy® Award from the Academy of Television Arts and Sciences. Today, the company offers a wide range of products, which include: Tiffen® filters, Steadicam® camera stabilizing systems, Lowel® light, Listec™ teleprompters, Tiffen Dfx® digital imaging software, Domke® bags, Davis & Sanford® tripods, Zing® camera covers, Stroboframe® flash brackets, Saunders® professional trimmers, and Kodak Wratten® filters. Tiffen continues to enhance its reputation as a leading imaging accessory manufacturer through aggressive growth in the image-making accessory industry. For more information on Tiffen, please visit: http://www.tiffen.com.